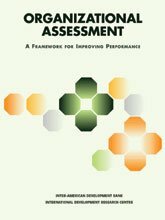 Reflect & Learn (R&L) has been created to help organizations improve their performance by using Organizational Assessment (OA). On this site, you will find OA frameworks, tools, definitions of key terms, and examples of OA. We have now launched our LinkedIn™ community of practice on organisational assessment! The group serves as a learning community for practitioners, researchers and other individuals interested in organizational assessment and change management processes. The forum is a space to share ideas, exchange resources and identify best practices to improve the performance of organizations. Our blog was launched in September 2012. We use this tool to help promote discussion around organisational diagnosis and change, share our own experiences with OA and invite special guests to do the same. Stay tuned for entries related to resource mobilisation, disaster affected settings, organisational culture, gender equality, etc. Do let us know if there are topics you would like addressed, or if you would like to contribute to the blog's content, by contacting us here. (2002) By Charles Lusthaus, Marie-Hélène Adrien, Gary Anderson, Fred Carden and George Plinio Montalván. To access this book, please click here.